Turn your Coins into a fashion statement to be proud of. 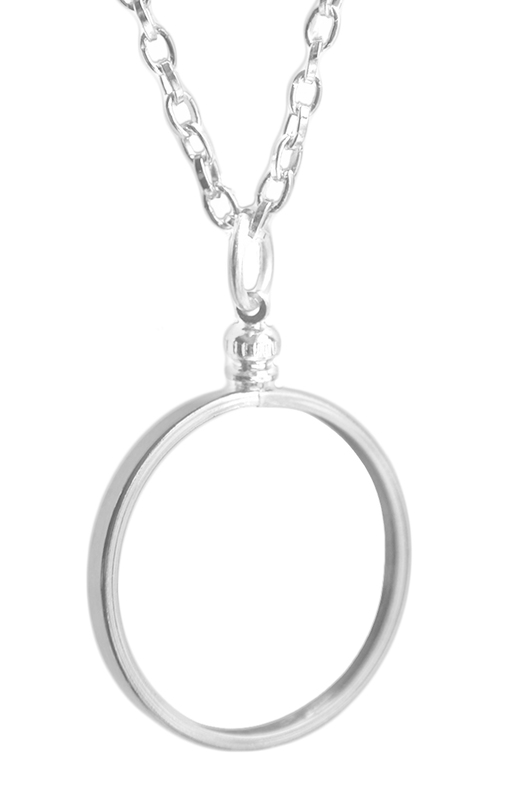 Wear or display your favorite recovery coins with a bezel mounting. Comfortable, sturdy and lightweight. The coin frame provides protection from wear and damage. Screw type closure ensures that coins are securely enclosed. To set coin in bezel: Unscrew finding from bezel. 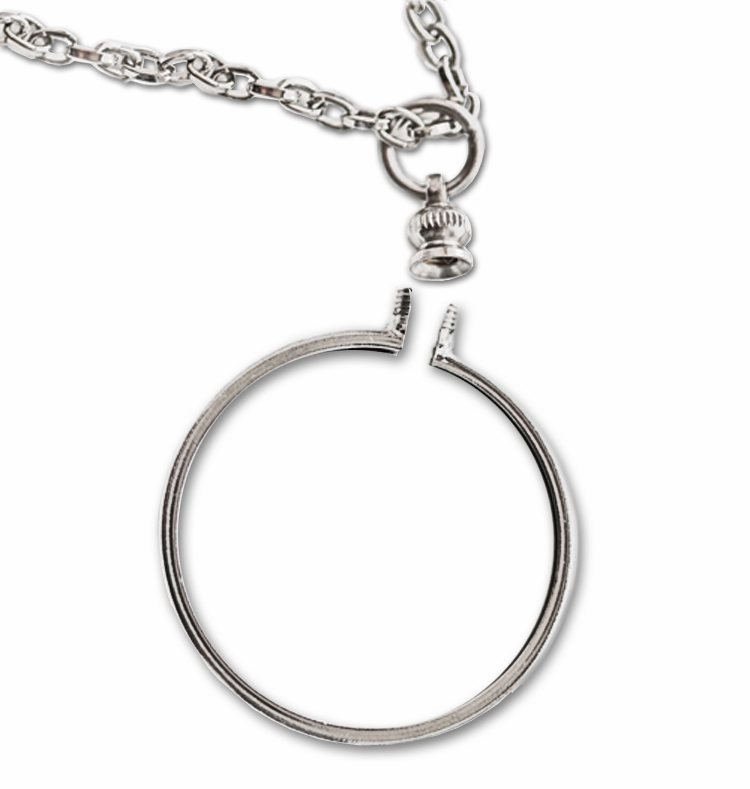 Gently pull bezel open and place bottom portion of coin in bezel setting. With coin in place, pinch bezel closed and screw finding on to bezel.